Having a newborn is an amazing yet unpredictable time. Their ever-changing schedule makes planning very difficult. When I booked a newborn photo session with Julie months before Maggie was born, I didn’t realize the stress I would feel the morning of the session. What if Maggie didn’t sleep? What if she spit up everywhere, or worse, pooped? The second we walked into Julie’s studio, all my nerves dissipated, as I looked around the most calming, peaceful space clearly designed with a new parent in mind. The lighting, seating, and warmth was perfect. And that’s just the studio! When Julie started putting Maggie in different poses, I was amazed at how calm she was handling what still seemed to me like the most fragile thing in the world. Her gentle touch and soothing voice kept Maggie asleep and looking like an angel for the entire session. It made for one of the most relaxing times a new parent could have with a newborn. The photos were so incredible that I immediately added on the one year milestone package. In fact, Julie was the first nonfamily member to know we were expecting number two! My husband and I booked the milestone session for baby brother the day of our 12-week ultrasound! I recommend Julie to everyone, especially nervous moms like myself. 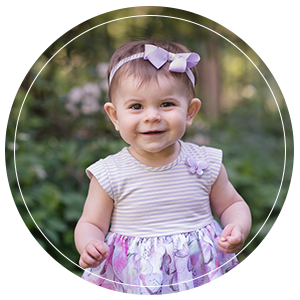 Using Julie Freitas Photography will allow you to forever cherish the most beautiful images of your little ones most precious times. - Brittany Z.
Julie was such a joy and pleasure to work with! 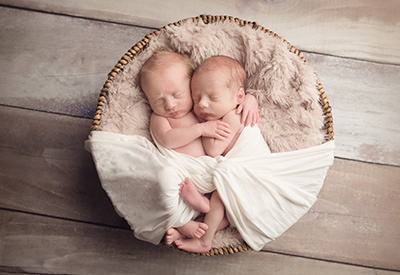 She is honestly the baby whisperer who made our little guys pose in such adorable ways that every photo was amazing! We couldn't get enough of her great work and used her photos on everything from birth announcements to Christmas cards and baptism invites. We highly recommend Julie and will definitely be back! - Michele W.
Julie isn't just a great photographer, she is a baby whisperer! We have had the pleasure of Julie capturing this special time in our lives from maternity photos, newborn photos, and now 6 month photos. We truly cherish being able to watch our little girl grow up so beautifully on film. Julie makes sure the parents get to take a little break while she works her magic, and more importantly, our daughter LOVES her. I swear she has special smiles she reserves just Julie! We can't wait to see the beautiful memories she continues to capture. - Alexandra A. “Julie is truly a pleasure to work with. We had a wonderful maternity shoot on Crane beach in June, and we couldn’t be happier with the photographs. 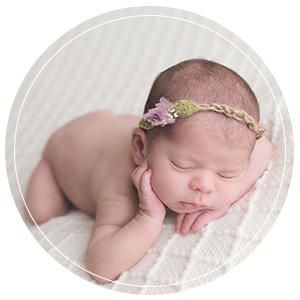 When our daughter arrived in July, our first family outing was to Julie’s studio for her newborn photoshoot! I was a tired new mama, and Julie took the reins and put all of us–myself, my husband, and especially the baby–at ease. She is the real Baby Whisperer!!! Our daughter slept soundly throughout the whole session thanks to Julie’s many sleep techniques, and the photographs came out as cute as can be. Now our once tiny baby is 5 months old, and sometimes a framed photo from her newborn shoot will catch my eye and I already can’t believe she was ever so small and new. I am very glad that we decided to have these important family milestones preserved for a lifetime, and I am so grateful to Julie for capturing these memories for us. She is truly gifted and talented at what she does.” – Kara R.